Have you ever wondered what it would be like to try a completely different career? To be able to design a roadmap that led you down a path you’d always wanted to try? 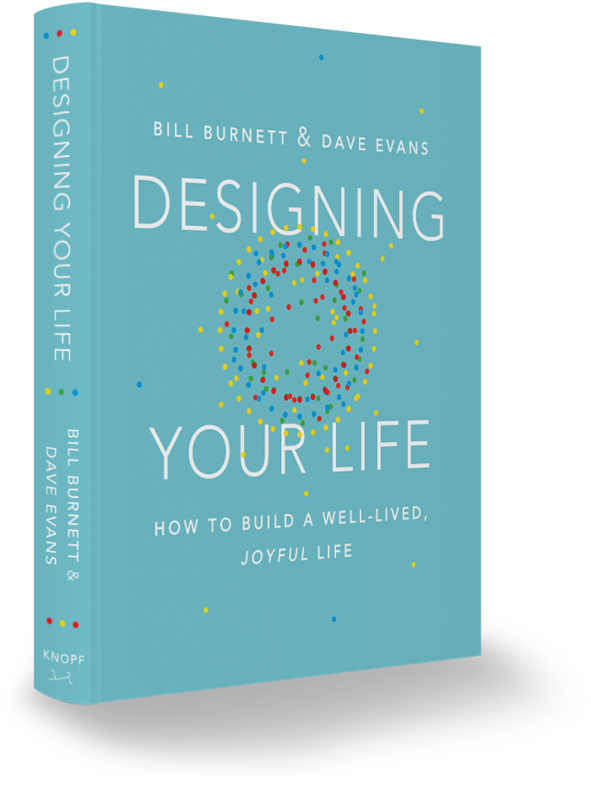 This October, I had a chance to sit down with Bill Burnett, co-author of the newly published book Designing Your Life: How to Build a Well-Lived, Joyful Life. With this book, Bill and his co-author Dave Evans hope to give people of all ages a toolkit for doing exactly that. Bill teaches a class of the same name—often abbreviated DYL—at Stanford, along with his co-author Dave Evans (Bill and I also teach together at Stanford, the senior capstone product design class Implementation). 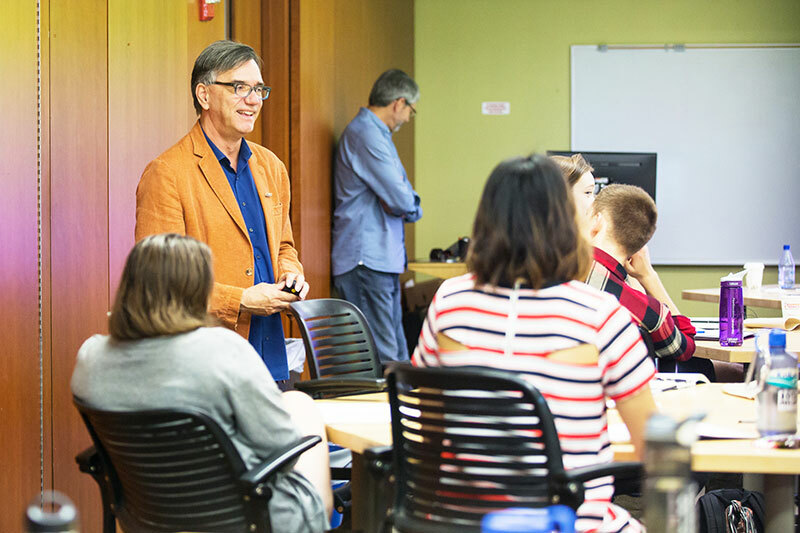 The DYL class, which began as a way for students in the design program to explore life after graduation, evolved into a curriculum that teaches anyone to apply design methodologies to life and career goals, and became the most popular elective class at Stanford. A big part of the reason students come to Bill and Dave’s class, and adults come to their workshops, is that they are feeling stuck: as students, they headed down the path that was expected of them and found they don’t like it, or as mid-career adults they are in a high-paying job that they hate. The techniques outlined in the DYL class, and in the book, are meant to get you unstuck. To do this, they borrow some techniques from design thinking, including ideating (coming up with a lot of ideas) and prototyping (testing those ideas in a way that uses a minimum of time and resources to answer critical questions). In this excerpt from our interview with Bill, we focus on the technique of “prototyping your life.” I’ll jump in from time to time to clarify things. You can also listen to the full interview here. Bill Burnett in his office at Stanford. Bill Burnett: There are lots of ways to prototype your life. Classically, we call it a prototype interview, but it’s meant to find somebody that you’re really curious to learn more about. Don’t ask them for a job or anything, that’s crazy, just go find out their story. Ask them for their story. The future is already here and it is unevenly distributed. There’s somebody who’s doing what you think would be the perfect thing to do, they’re already doing it. If you ask them for 30 minutes and a cup of coffee, they’ll probably tell you their story. You can prototype your way into these experiences by just having those conversations. I just had a student…you remember Brogan? 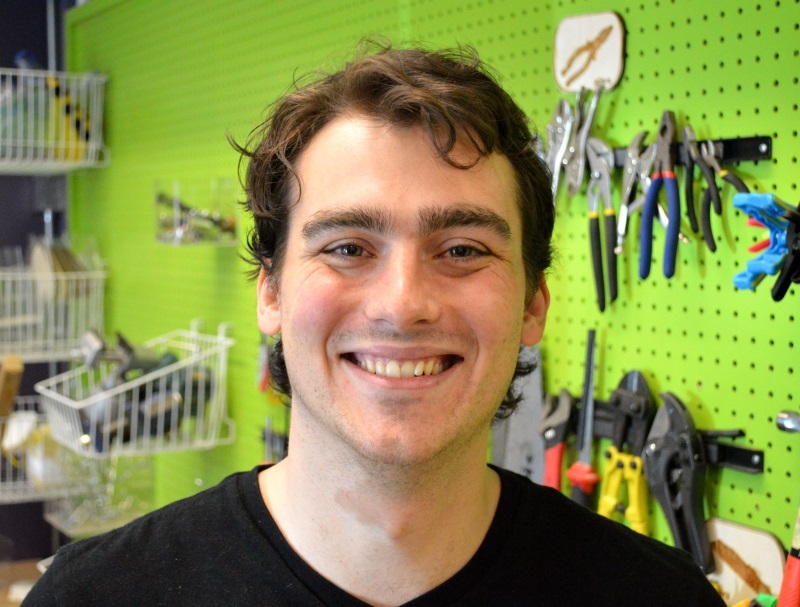 Brogan Miller used the DYL prototyping method to land a new job. Eli Woolery: Brogan was a student of ours in Implementation who came up with a great project to open-source DIY learning projects for high-school students, and went on to become the Program Director for the Transformative Learning Technologies Lab at Stanford where he continued the work of making design and manufacturing accessible to students. 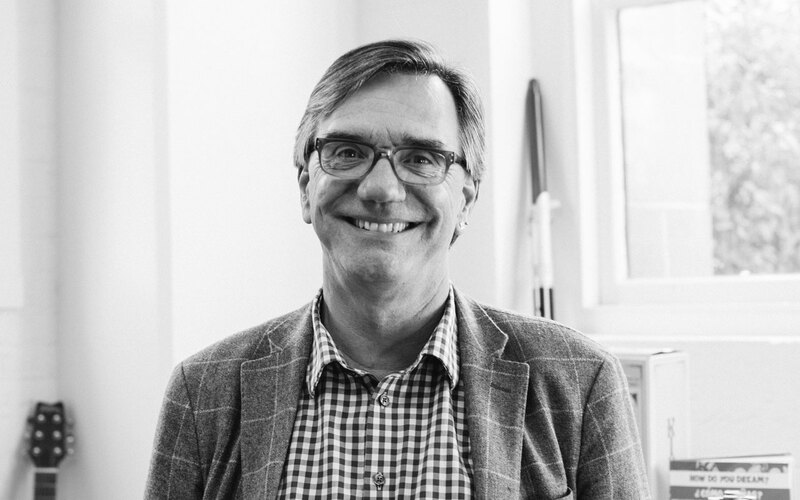 He came to Bill when he decided that he wanted to move away from academia to a startup. Bill: He worked at a bunch of labs around here, but he hadn’t had any practical experience yet. That’s not his real name by the way*. He wanted to get going as a designer, but, of course, the classic problem is I’m coming out of school, I don’t have experience, everybody wants 3 years of experience, or 5 years of experience. He had 5 of these information interviews. Three guys had mentioned something and he said, “Well, would you mind if I took a whack at that? I can design that.” He came back with 3 designs. One guy said, “That’s great,” but the conversation didn’t go any farther. Re-framing the problem: is it about my needing the job, or is about you having a problem? It’s always about the guy with the money. Eli: Reframing the problem is another important component of design thinking, in the define phase of the process. Reframing is how designers get unstuck. Reframing also makes sure that we are working on the right problem. Life design involves key reframes that allow you to step back, examine your biases, and open up new solution spaces. Throughout the book, we will be reframing dysfunctional beliefs that prevent people from finding the careers and the lives that they want. Reframing is essential to finding the right problems and the right solutions. Bill: He’s got a problem, what’s his problem? People will love to tell you their problems. [Brogan] prototypes his way into that with experiences. Then he built examples of his work for them to see, all for free. Not knowing what’s going to happen. Out of that ended up with a great job. Designers are like that all the time. Designers are naturally curious people, and we’re always building solutions to problems. Being curious, figuring out what you’re looking for, in the first place, and then prototyping your way into that future, and in the process ideating lots of ideas, and then building and testing and building and testing. It’s funny because the world really responds to curious people. As engineers or as in the normal world, you’re trained to be skeptical and rational. But if you just switch on your curiosity, and designers are naturally curious people I think, it’s easy to find problems to work on. There’s so many interesting problems. We have an expression in the class, “Interesting is interested.” If I’m interested in you, you think I’m an interesting person. If I’m curious about your story, you’re willing to tell it to me. If I say, “Hey, I need a job, give me one.” You’re like, “Get out of here”—you’re in your evaluation mode. Bill Burnett and Dave Evans (in background) teaching a DYL workshop at the Segal Design Institute. But if I’m interested in the work you’re doing, or the process, or the thing you’re doing, and the story that evolve from that, I become an interesting person to you. It’s not networking, or sleazy, or anything else. It’s literally being…the curious person. Building prototypes is straightforward. 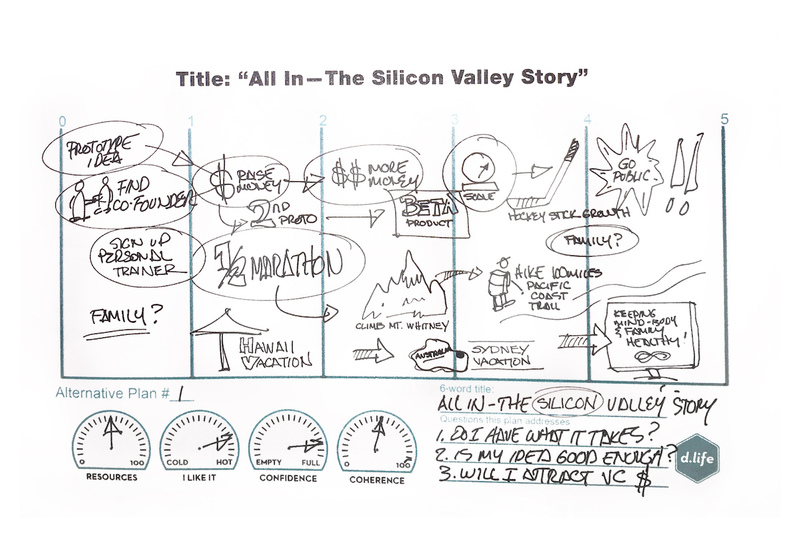 You can prototype an internship, you can prototype an experience. We have one woman who wanted to change her career, but she didn’t know if she could go back to school. She’s in her 40s and [wanted to] go back to school. “These millennials, I hear they’re kind of nasty.” We had her sit in on a couple of classes and she said it was great [Eli: she really ended up connecting with the millennials in the class]. We’re an embodied intelligence. Sometimes we have to go feel something to know if fits. I think, in general, particularly for a design audience, we understand this. We understand empathy, we understand putting ourselves in someone else’s situation. We understand re-framing problems to look for another way in to solving the problems. We also understand that typically our client gives us the wrong problem. They give us some kind of solution that they want us to work on. Then we have to step back and see the bigger picture. That’s what we put into the book, and we’re finding that people who don’t have design training really respond to it. One, they feel more creative when they use this. Two, we set the bar really low. How hard is it to get a conversation for 30 minutes if you buy the cup of coffee? Do that 3 times, something’s gotta happen. 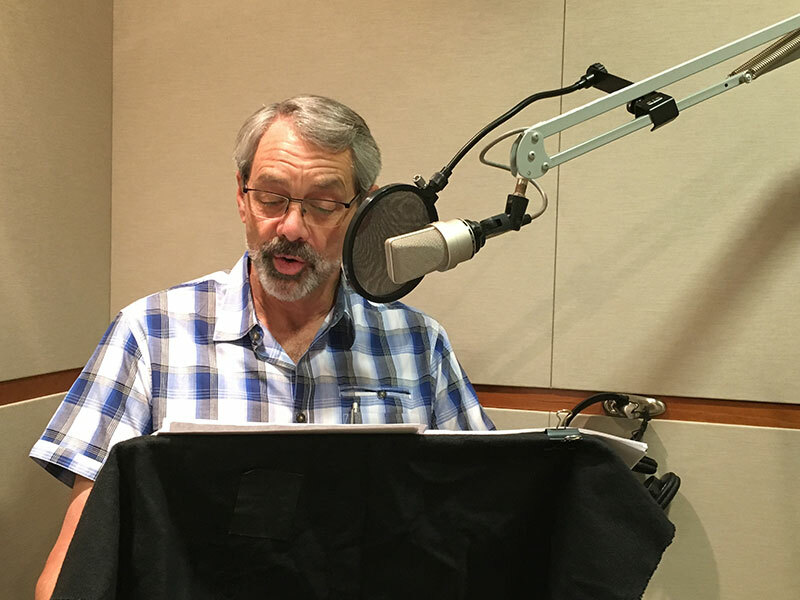 Dave Evans recording the audiobook version of Designing Your Life. Eli: Martin Seligman is known for his work on positive psychology; his research includes cross-cultural studies of the fundamental virtues that are critical to well-being, including wisdom, courage, humanity, justice, temperance, and transcendence. Bill: A lot of what we do to make ourselves happy is actually psychologically wrong. People think if they keep all their options open then they’ll be happier. But it turns out if you make a decision but you keep your other options open, all the psychological research will say that you will make yourself deeply unhappy. You start to question whether you picked the thing that was the best thing, and there’s all these other things, and, “Did I really pick the best?” Of course, the internet makes that worse because you know there’s gotta be something else out there that was better. We try to be as research based as we can in the book, because I hate self-help books in general, and where we augment design thinking is mostly around making decisions, and a little bit of how to understand yourself. What really makes you happy. There’s a couple of forms of happiness—in psychology there’s different ways of looking at happiness. I think once you have that information and you’re a naturally curious person, the rest is pretty easy. An example “Odyssey Plan” from Designing Your Life. You can explore more of Bill and Dave’s tools for using your curiosity and a designer’s mindset to design your life by getting the book at your local bookstore (that’s Bill’s favorite option as it supports small businesses), or buying online from one of the stores listed at designingyour.life. Stay tuned for more excerpts from the interview, or listen to the full interview here.